The second day in and I find myself adjusting to the incredibly different dynamic, pace and vibe this class is generating in comparison to last week’s French Jacket Class. There’s 12 people – all working on vastly different projects all needing Susan’s attention and instruction to get some momentum going on their own project, where as last week there was 9 of us – all working on the same thing and generally all at the same pace (slooow…. ha!). Considering the load, Susan does do a pretty impressive job at balancing everyones needs. In the background there is some amazing animal print Cavalli charmuese which is going to be sewn up as Vogue 1302 (a Kay Unger pattern) and I’m so curious to see how the ruching is going to turn out! The open space on the floor of the carpet gallery is a very comfortable place to arrange and cut, and I find I don’t miss the usual process of cutting out precisely which sewing by the cut edge (instead of the actual seam line) requires – this method you can just hack loosely around your pieces and be done with it! The precision cutting required by the sewing process we all usually sew with is something I find oddly relaxing :) Being a newb to this method, I find myself erring on the side of caution and end up with the most gigantic of seam lines ever. Once I’m done it’s all about the thread tracing. And you know what? That takes me the rest of the day and a good part of that evening to complete. Pretty boring stuff for me to be reporting on, right? 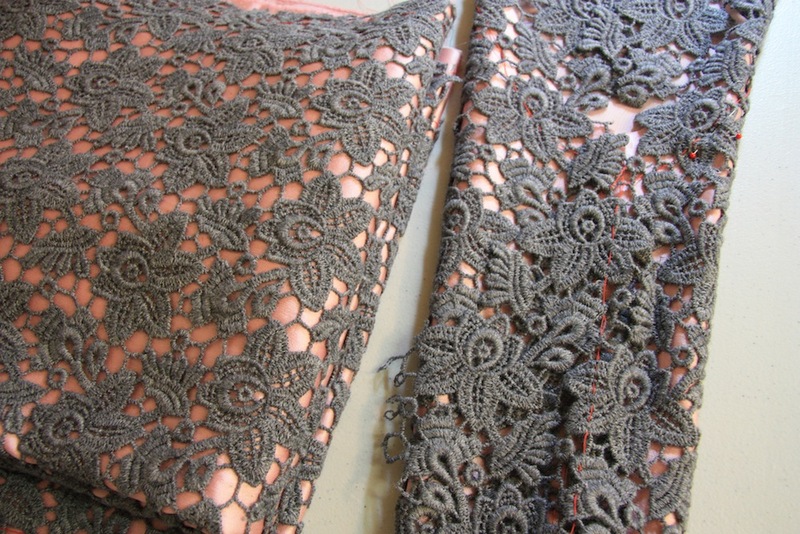 I learnt that guipere (pronounced gwah-pier in an Australian accent) is specifically lace that doesn’t have a mesh backing. 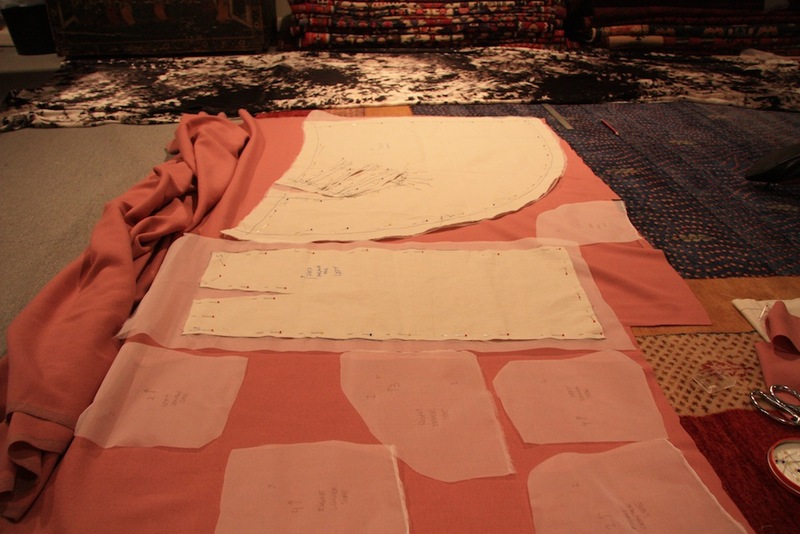 The sleeve you see on the right in the picture above was being ‘pieced’ – cut out and hand sewn in such a fashion so that you can’t see the join between the abutting sides. So there’s no shortage of inspiration or conversation to be had. Fun all around! 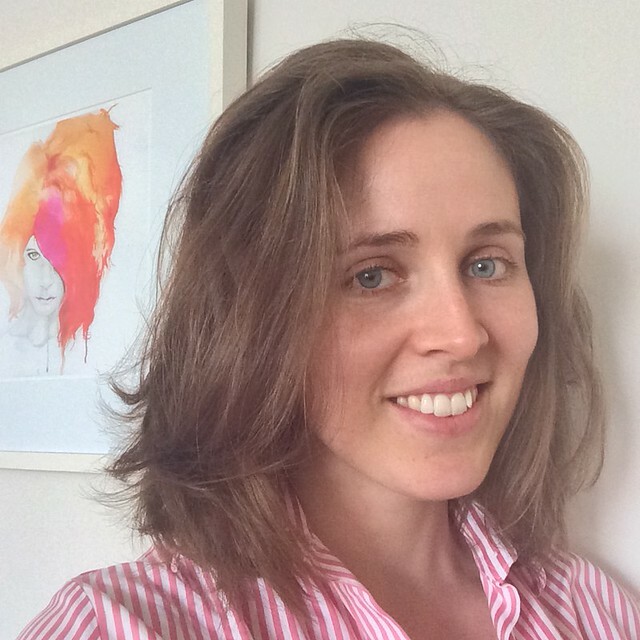 Thank-you Melanie for another interesting post on your classes in Baltimore. All those beautiful fabrics just melt my fabric heart!!! With all that loveliness around you, I would be too afraid to sneeze. It’s funny you say that, because usually I would have my heart in my throat when contemplating cutting out such a fabric, but being in that environment seems to shield you from that fear! 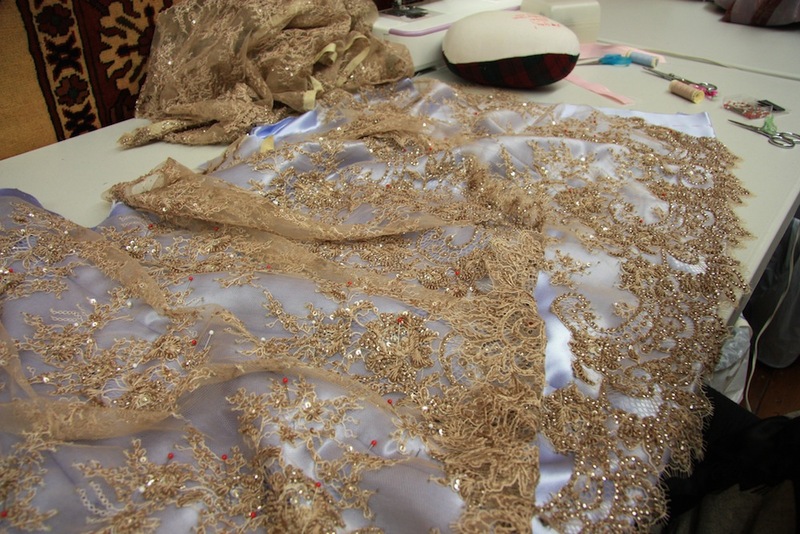 So much work going into each garment – I bet they will all look lovely. I think I would almost be scared to cut into some of that gorgeous fabric!! I am really enjoying your thoughtful posts about your wonderful 2 weeks with Susan Khalje in Baltimore and seeing all the wonderful fabrics and creations. I can just imagine the fun and excitement seeing all of the projects coming together. Can’t wait to see your finished project. By the way do you have any tips for sewing the lining at the sleeves on the French Jacket? It’s hard to stay focused on your own project, for sure! Are you talking about at the vent, or around the cuff? I haven’t got to that part yet… but I would presume it’s much the same as sewing around the hem of the jacket? Thanks Anne-Rose, so glad to hear it :) I’ll admit, the dress is a looong way off yet! Wow, I really didn’t know that about lace! How interesting. I thought so :) Thanks Rach! Your hand basting stitches look amazingly even…..I bet even the hidden inside of this will look perfect the way you sew! By that point I’d done so much thread tracing that I could do it both fast and half decently well. Practice really does make perfect, even when you’re not trying! ha! Ha, and I have been pronouncing it in my head as gip-ear! Looks like another fun week for you. mmm…. 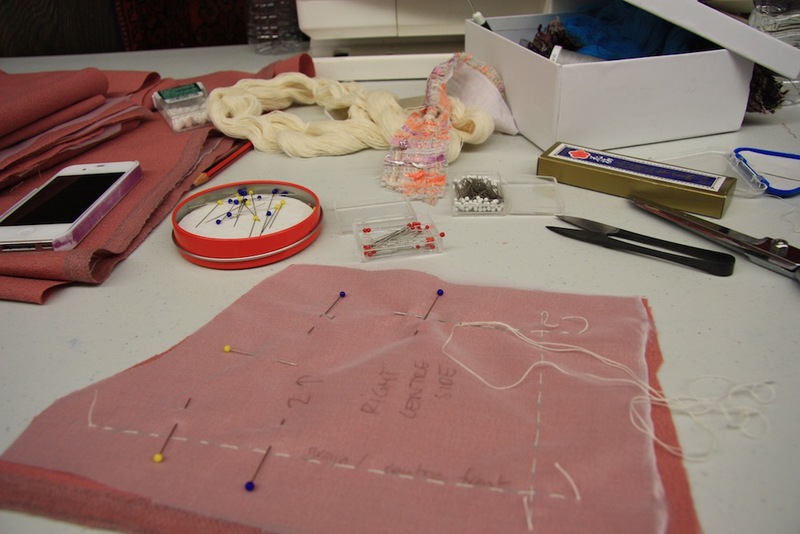 the “hack loosely around your pattern pieces” is super appealing to me! thread tracing, maybe not so much. ;-) such beautiful fabrics! Sweet baby cheezels. That pink and grey guipere creation is a confection of glory! This looks like so much fun! That’s one of the many descriptive words I’d use to relate the experience, for sure! Thanks Amanda! 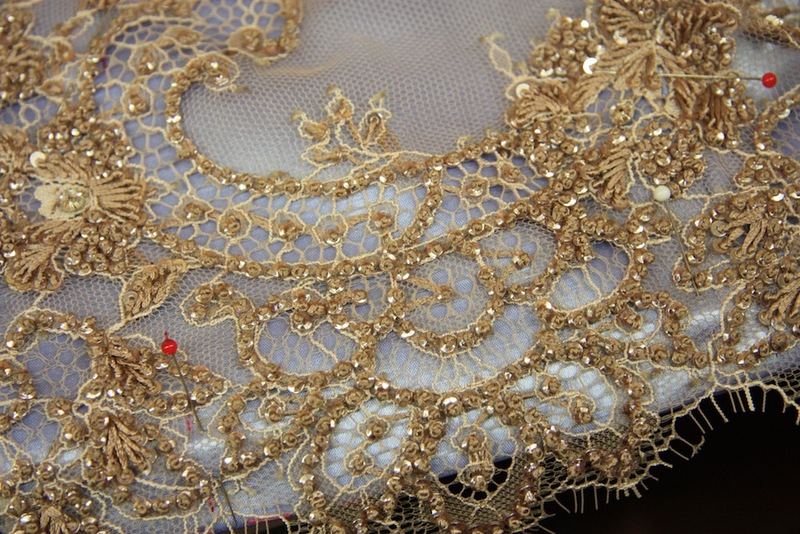 That lace is insane. Thanks for posting about these classes. Super interesting. Your jacket looks incredible. Yay! I finally remember where is the comment thing! I´ve been reading your post and I can see you are learning a lot of the good stuff! I wish there were classes like that where I live! And the fabrics around you…Wow!